Video: Can Civilization Survive the CO2 Crisis? Take a trip into the heart of the momentous December, 2015 Paris climate summit (COP21) via this engaged, educational video produced by long time environmental activist Elizabeth Woodworth and professional Parisian producer Debora Blake. Although 3,700 media people attended the conference, Elizabeth, upon returning to Canada, was amazed at how few people seemed to know about the cliff-hanger in Paris. The documentary begins with tours of the venue and its facilities. It then offers a fascinating look at how the draft climate agreement evolved through its precarious two-week course. It relates how COP’s innovative president, Lauren Fabius, used the indigenous South African “indaba” to reach last-minute consensus. 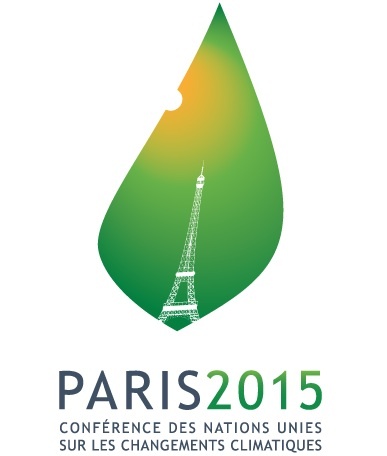 COP21 was the largest meeting of nations in France since the UN Declaration of Human Rights in 1948. It was attended by delegates from 195 nations, and by 40,000 state and non-state people from around the world. Its venue in Le Bourget, north of Paris, was a full square kilometre in size. This video will help you get a grip on its enormity and significance. From the outset, delegates understood that COP21 would fail if even one of the 195 nations balked. It took extraordinary skill and patience to guide these delegates to consensus. Three days before its end, while the fate of the conference hung in the balance, former Vice President Al Gore delivered a moral appeal of rare stature to the assembly. The finale of this cry for future life, nowhere to be found in the archived news reports, is featured in the video. Elizabeth, a Canadian writer and science librarian, had already spent most of the year voluntarily promoting a well-researched climate action book, Unprecedented: Can Civilization Survive the CO2 Crisis? (Clarity Press, 2015) by scholar Dr. David Griffin. Her mission in going to COP21 was to show this book to world leaders, and there she was interviewed. Hailed by CleanTechnica as “a great service to humanity,” Unprecedented offers a unique mobilization approach to global warming. As a follow-through to COP, Unprecedented is ahead of the curve on what governments and citizens can together do to restrain carbon emissions. Although global humanity has stepped up a rung on its evolutionary ladder in uniting to address climate change, there is so much more work to be done. This film will increase awareness and outreach to maintain the momentum of COP21’s historic achievement.